Treat your joint pain with the best treatment of Ayurvedic oil for Joint pain relief. The Ayurvedic Oil, Kairtis is inspired by the 5000 year old Ayurveda and Panchkarma treatment. The Ayurvedic Joint pain relief oil is not just beneficial for joint pains, but, also gives relief from Arthritis, Paralysis, Sciatica, Knee Pain, Frozen Shoulder, Spondylosis, Back ache, joint pain, and swelling. For the first time in India a 100% natural and Ayurvedic Joint pain relief oil with no side effects has been launched. The oil, Kairtis, an Ayurvedic oil for Joint pain relief is an innovation from the house of Kairali Ayurveda Group. Kairali Ayurveda has been promoting health and wellness through the age old medicines of Ayurveda. 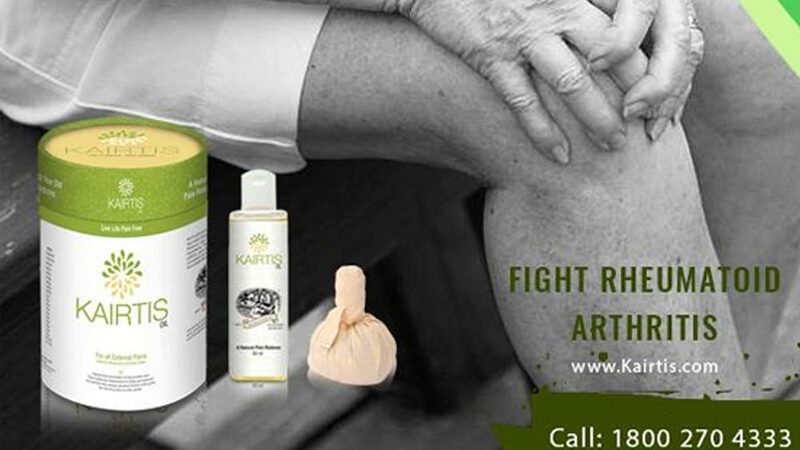 Kairtis oil, Ayurvedic Joint pain relief oil is a blend of nature’s best herbs and is launched in an equally innovative packaging with the goodness of Potli Massage. Kolakulathadi Choornam or commonly known as Potli is made from some of the finest dry herbs. The Ayurvedic oil for Joint pain relief is advised to be applied twice a day for 6 consecutive days for effective results in case of severe pain conditions. It has been noted that one can live a pain free life if one uses this oil combined with Potli massage continuously. It is very easy to use Ayurvedic Joint pain relief oil. All you have to do is take 5 to 6 ml of Kairtis oil and massage the affected area for 15 minutes. Now heat a few drops or 10-12 ml of oil to be exact in a pan and heat the Potli on it. Now apply the warm Potli on the affected area in a circular motion where Kairtis Oil, Ayurvedic oil for Joint pain relief, has already been massaged and get relief from pain. My mother is suffering from Arthirities, so for her I ordered kairtis Oil online. Actually while talking to their customer care executive over phone, I’d been told that for any kind of joint pain it is a oil, 100% Joint pain relief Product. Kairtis Ayurvedic oil is 100% Ayurvedic Medicine without any Side Effect Purely based on safe & harmless Ayurvedic theory with the prevention of Joints pain, Backache, Muscular Sprain, Arthritis, Stiffness of Joints, Sciatica or as directed by the physician. Its easy and innovative application procedure is the best part along and since there are no side effects, kairtis oil is very useful in relieving the joint pains, back pain and knee pain ! My Grand Father has been using this product for the last 2 month and it has been very effective to her knee pain. My grandparents are old people and they live in the village looked after by our uncle and his family. We all went for a family vacation to Kairali Ayurvedic village in Palakkad. For our family, it was like discovering a gem. Such beautiful and calm place, ayurvedic massage, treatments, yoga, meditation, breathing exercise and what not. Since then, my grandparents have been using the Kairatis Oil for their body aches and potli massage. They are both still healthy and my grandfather has joined another workplace after retiring from his government job. 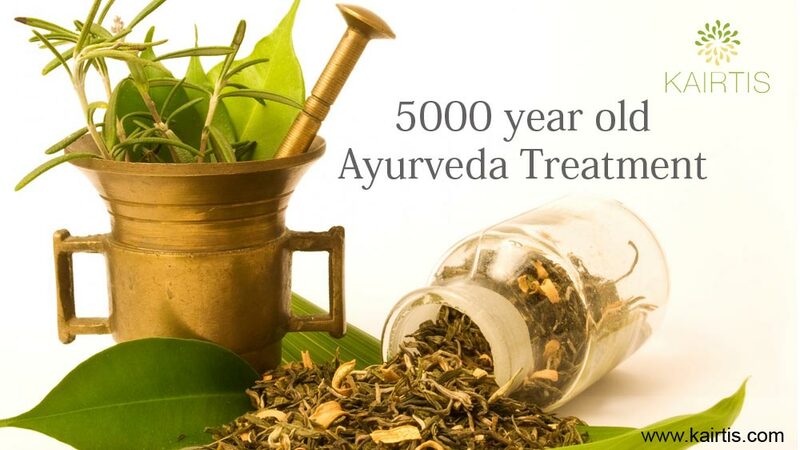 Kairali Ayurvedic Group was established on solid ground of Ayurveda research. Since its inception in 1989, Kairali has built on the achievements of its forefathers, developing its product infrastructure to make a diverse range of Ayurvedic medicines available to a multi-national audience. . Its signature Ayurvedic health retreat and multiple award winning hotel and spa “The Ayurvedic Healing Village” is one of the leading Ayurvedic health retreats in Asia, and among the best wellness centers in the world. The treatment centres can now be found throughout India, and also is an industry favorite for education and staff training on Ayurveda.